It's irresistible! Every bite of duck meat is flavorful and juicy. A recipe in collaboration with The Burning Kitchen. 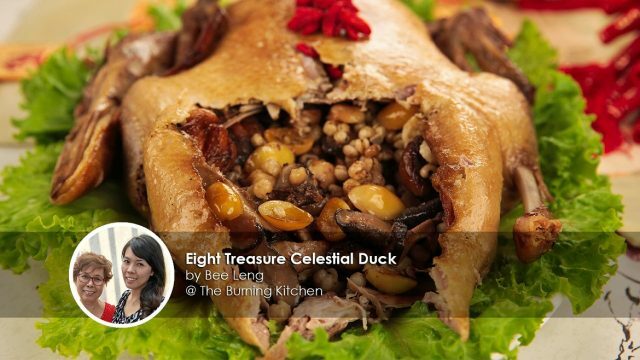 Cooked for 5 hours, the Eight Treasure Celestial Duck dish taste heavenly, and the meat is so tender it falls off the bones! Stir fry the ingredient to give it a fragrant smell. Time to stuff the ingredients into the duck! Remove fats from the duck prior to cooking, as ducks are quite fatty. 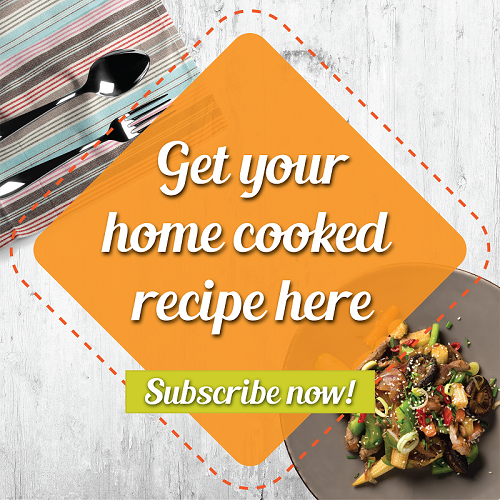 This way the dish will be less oily and healthier as well as palatable! Use a traditional charcoal stove if you have one, as it will add a delicious smoky aroma to the duck. When soaking the mushrooms, add just enough water to cover to 1 inch above the mushrooms, and don't change the water. Otherwise, the mushrooms will be tasteless! There are many variations of eight treasure duck, and there isn't a standard list of the eight 'treasures'. You can choose using glutinous rice instead of barley, depending on your preferences. Let this be the star of your reunion dinner. 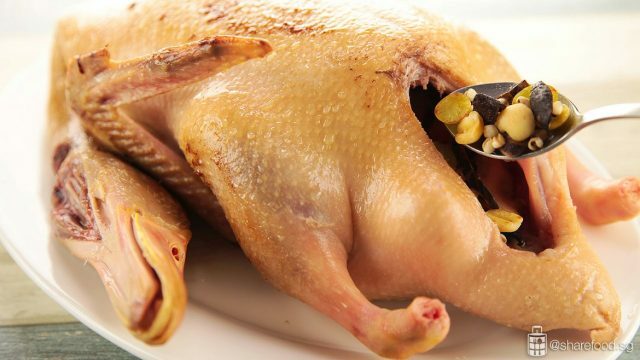 1 whole duck cut off the legs and nose and discard them, leaving the neck and head intact. Place the lotus seeds in boiling water for 10-15 minutes. Once cooled, remove the skin (if any) then split into half and remove the centre core as it is very bitter. Wash and set aside for later use. Soak ginko nut in hot water, remove shells from gingko nut and peel the skin. Split the gingko nut into half and remove the centre core which is bitter. Wash, drain and set aside. 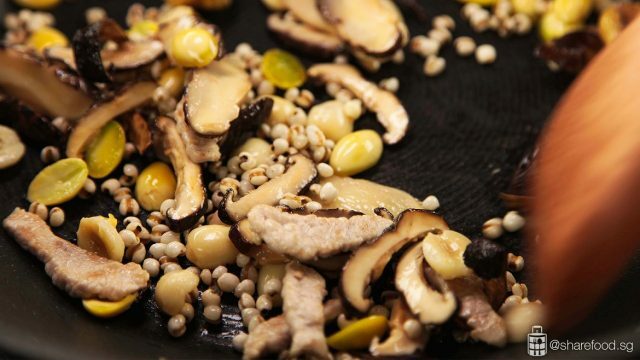 Soak dried mushrooms in hot water until soft. Cover with lid to speed up the process. Cut into thin strips. Keep the mushroom water. Slice the pork into thin strips. Wash the dried mandarin peel and cut into thin strips. 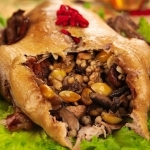 Rub the whole duck with 1 tbsp of light soya sauce and let it stand for 10 mins until the skin turns light brown. Heat up the wok. Place duck onto the wok to lightly brown it on all sides. Once the duck is browned, remove the duck. Add 1 tbsp of oil to the wok and stir-fry the lean pork. Next, add another 1 tbsp of oil. Fry the rest of the prepared stuffing ingredients for a few minutes. 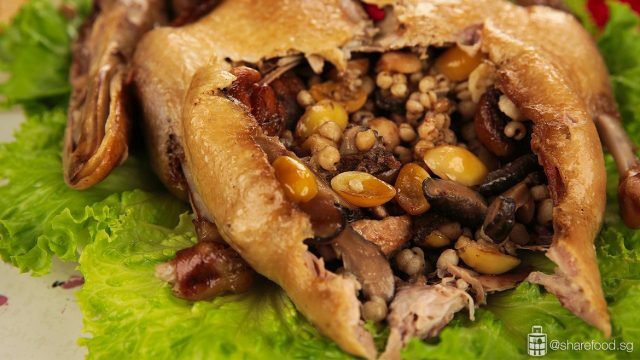 Fill the belly of the duck with the prepared stuffing. Conceal the cavity with a thread and needle. Place whole duck in a deep cake pan. Pour the mushroom water into the cake pan. Heat up the steamer and steam for 4 - 5 hours. Check the water level in the steamer every 20 mins and top it up with water when it runs low. Use a skewer to pierce through the duck to check when if it's soft and tender. Add a little salt or soya sauce to the soup for taste. Remove the thread from the duck and prepare to serve!